Agalloch’s musical journey has been well documented and praised throughout the years and regardless of the level of notoriety the band obtains, one can expect their music to remain an all encompassing journey into the hearts and soul of its creators. This to me is a defining reason why so many people have connected with Agalloch. Their music has always struck me as welcoming and honest. Organic. Something to fall into knowing that the enveloping layers will catch and support your weight as you lean into a vibrant sound that in a lot of ways, sonically defines the flora and fauna found in the Pacific Northwest. Agalloch’s music maintains a beautiful shade of gray, borrowing from both black and white/light to achieve a well-rounded sense of self and awareness that only continues to strengthen and develop as the members of this band flow along in time, growing together creatively and working to make music that matters. Marrow of the Spirit and the recent EP, Faustian Echoes both reflect and celebrate the years of hard work and the bands seemingly spiritual upholding of their past, while not shying away from more forward thinking experimental tones and elements to achieve and perpetuate that desirable shade of gray that can only be labeled as “Agalloch”. Many regard Agalloch as one of the originators of a style that has in a lot of ways, injected a much needed strand of emotion into an often close minded sub-genre of metal. 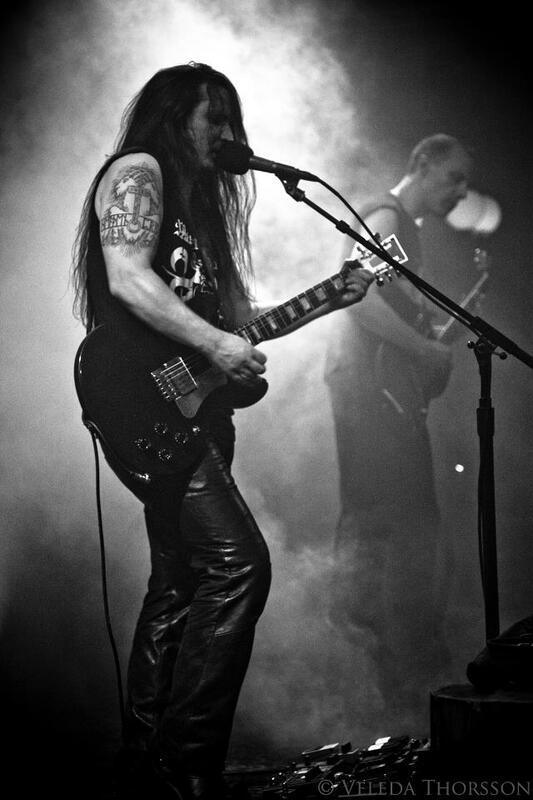 What was going on in your life at the time (personally and creatively) when the decision to bring black metal and Neofolk together and did it feel at the time like it was something fresh? DON: I had always associated open acoustic strumming with either country, folk, or a kind of “campfire” music—never as something dark. Most acoustic guitars in metal, usually nylon string, are finger-picked in a classical style, but rarely strummed. When I heard Death in June’s “But, What Ends When the Symbols Shatter?” I was blown away by how moody, dark, and huge it sounded with the open strummed acoustic guitars. Between them and Sol Invictus’ “The Blade” we felt that we could merge the two since both were fundamentally dark. It felt fresh because I hadn’t really heard that much background strumming behind heavy metal riffs like we did on “The Mantle.” Now it is more commonplace, so I like to think we may have had a little something to do with that. But, that’s for history to decide. If you would have told me 10 years ago that Agalloch would be so out in the public eye with ambitious tours both here in the states and overseas, I never would have believed it. Agalloch’s sound, design and ideals stemmed partially from John’s isolative/misanthropic creative side. As the years rush by, what has changed in Agalloch to find your boots on the ground and seeking approval from your fans in the live arena? DON: We’ve always thought about what it would mean and look like to play live since we began, but it simply wasn’t practical. I’m very happy we have begun playing live because the band could not support itself otherwise. It’s true that a band today must tour to make any money. People are not buying CDs like they used to. Fortunately, the recent vinyl craze is very helpful and selling vinyl on tour is incredibly practical since we can avoid shipping and packaging costs. So, if it wasn’t for touring we would not be the independent band we are today. Also, playing live is cathartic in a way that cannot be matched in the studio or jamming together or writing at home. I think too we’ve been able to make our live shows special by incorporating film, incense, fog, and other “Agallochian” elements. We never wanted to be just a band playing the songs—live shows have to be completely immersive and representative of the band as a whole and this includes doing more than simply playing the songs. DON: It’s very humbling and rewarding to see that people enjoy our music and they express this joy by coming to the shows, singing along, and overall supporting the band. Playing live is certainly reciprocal. We feed off the energy of the crowd and then we give it back. Again, there’s nothing else like it. Touring bands often strip down their material to make it easier to reproduce live for more impact. Do you think this new era of the band will somehow affect the way you guys approach the songwriting process in the future? DON: Yes and no. We have begun recording as a live band and actually rehearsing the songs as a band before recording. Usually songs have been built part by part, recorded track by track, and then we’d play them as a band and adapt them for live. This is of course backwards from what most bands do, but with the distance issues in the past, there was no other way. Now, only Aesop is at a distance so we can have him visit very easily and spend a week rehearsing and writing. However, even if we record live there are still always overdubs and more guitars. We will never let the limitations of a live setup effect our songwriting. If we hear four guitars, we’ll track four guitars and worry about arranging it for live later. I see rearranging and even rewriting our songs for the live performance as an opportunity to let the songs live a new life. It’s a welcomed challenge and I love the fact that some of our songs are quite different live or have a different feel. If you want to hear the songs as they are on the albums, listen to the albums. We’ll never use back-up tracks; it’s always better in my opinion, and more honest, to reproduce your music the best you can live. If this means you have to rearrange parts, then you should. I feel that is my responsibility as the artist and musician. Songs should always evolve and it is our responsibility to let that happen. Post tour wrap up… there is no denying that the internet has driven the metalheads deep into their fortresses of solitude, watching concerts on youtube and freely collecting 1’s and 0’s. With this in mind, how was the turnout for the US tour? How does touring this country compare to your European trek? Could you explain the differences between the continents metal scenes and share some memorable moments? DON: The shows have all been very well attended. Of course all cities are different; you’ll not get the same numbers in Birmingham as you will in Toronto, but the crowds regardless of city are always really good and enthusiastic. Merch sales have been strong on both tours so, overall speaking for Agalloch it feels as if people do come out and support music and enjoy doing so. We couldn’t do what we do without touring and people attending and it has been a positive experience playing live. Europe is often easier to tour through because the cities are closer and venues do tend to treat the artists better regardless of stature. Both crowds on either continent are incredibly passionate, but there are cultural differences. Italy appears to have a culture that is very open to people, males in particular, expressing their emotions and feelings publicly. I’ve never felt a more intense and passionate crowd response than when we’ve played Italy. Rarely do we make guys cry, but in Italy that kind of emoting is not condemned by the culture—Italians simply love life and are passionate about art and are not afraid to show that. It’s quite the opposite of the “arms folded and glaring” variety you get in some other places. So the differences often do seem to reflect a country’s culture as a whole rather than the continent as a whole. Marrow of the Spirit has earned critical acclaim the world over and I see it in a lot of ways as Agalloch’s most experimental full-length effort. This element has always been a part of the band for all its members musical appreciation reaches far beyond the metal realm. What was the muse for this album and what made you guys feel comfortable enough to edge into an even wider scope of musical inspiration? Do you think you achieved what it was you heard in your head? Have the flood gates essentially opened? How far do you push it before you stray away from the initial meaning of the band? Is this even a concern? DON: I’m a very different songwriter than John. For me, I deliberately try to get out of the way of the music, so I let whatever is emerging at that moment in the songwriting process, or the studio, guide my instincts. The most important part of writing music is listening to what you are doing and letting the music tell you where to go next. It’s all already there, you just have to get your ego, your subject, and your personality out of the way to see things you wouldn’t have seen otherwise. I enjoy the studio experience and letting what happens there happen a bit spontaneously. John is a bit different and he hears the music in his head and has a very concrete image or mood he wants to achieve. I guess we meet in the middle. I push on that for him and he keeps us all on track. I don’t know what the “meaning of the band” is, but if there is a key element for me it is that we remain an existential band. I have no interest pursuing music that is happy or that doesn’t explore the real troubling questions about humankind, life and death, nature, and the absence of God. 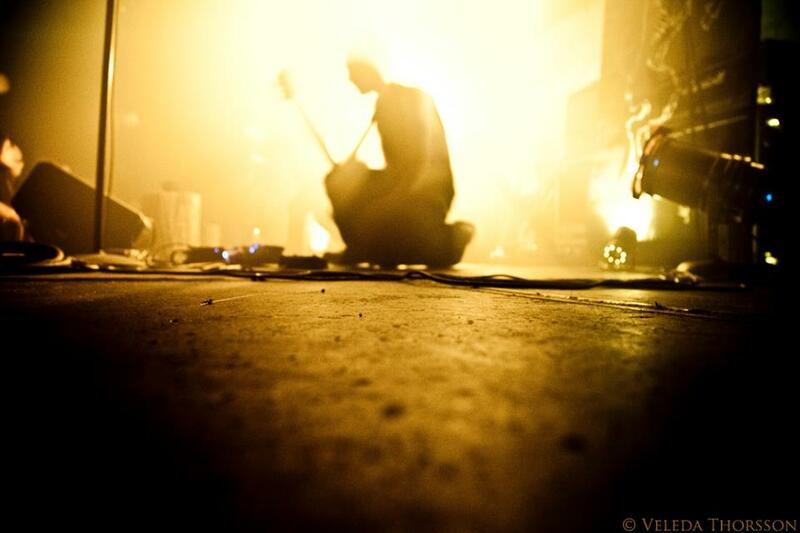 I recently joked to John saying that if Alcest is the light, then we are the darkness to that light. I know there are similarities between the two bands—to a degree, but we’ll never sound bright, light, sunny, or nostalgic like that. I like Alcest, but despite the similarities, the key difference is, and always will be, our Bergman-esque interest in death and the meaninglessness of existence. But, I do want the music to continue to expand and grow, but we’ll never write a ballad or a straight up happy song. At my most cantankerous, I’d argue that happy people have nothing important to say. After leaving The End Records, the band has taken the reigns of its own destiny so to speak. Did this feel like a risky move during this transitional time? DON: Not really. It was liberating and caused us to all really embrace the band more fully. Being independent is the best choice any artist—if they can achieve it financially—can make. Having more control over who the band works with and being free to ponder its own business decisions must be liberating. How has this changed the band dynamic and would you recommend a similar path to bands both new and old? DON: I am not naïve about our success; I realize that it is the fans that support us by paying for merch and coming to shows that have allowed us to grow more independent. Remember, we went independent after being around for twelve years. It took a long time. Not all bands can afford to be independent of a label. My best advice is to go with a label early on, but never sign away your rights “in perpetuity”—because the label will own those albums forever. Better to retain the rights, or get them back later, and re-release those records on your own once you’ve achieved independence. I think Neurosis is a band that we look up to and have modeled ourselves after. Again, we all feel part of something more personal and meaningful now that we all have more control over it. 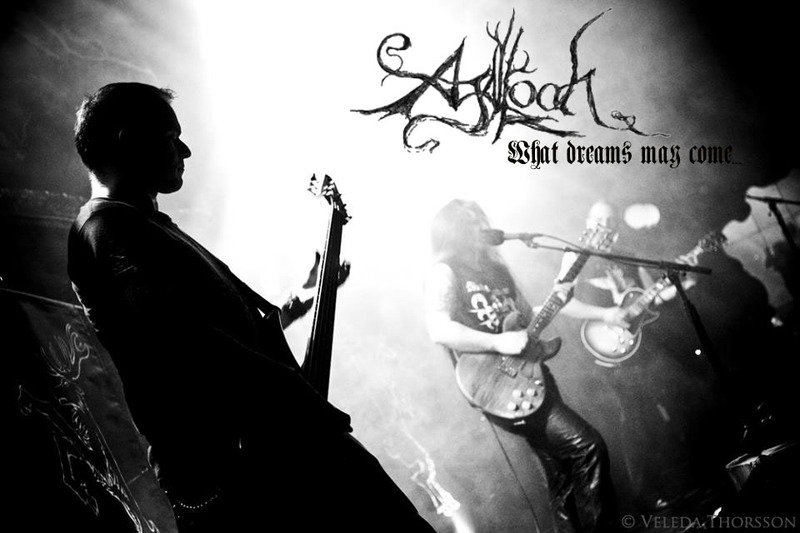 Agalloch endured drummer limbo for many years before enlisting the talents of Aesop Dekker. What did the band see in him that warranted taking a chance on a musician that lived in another state? 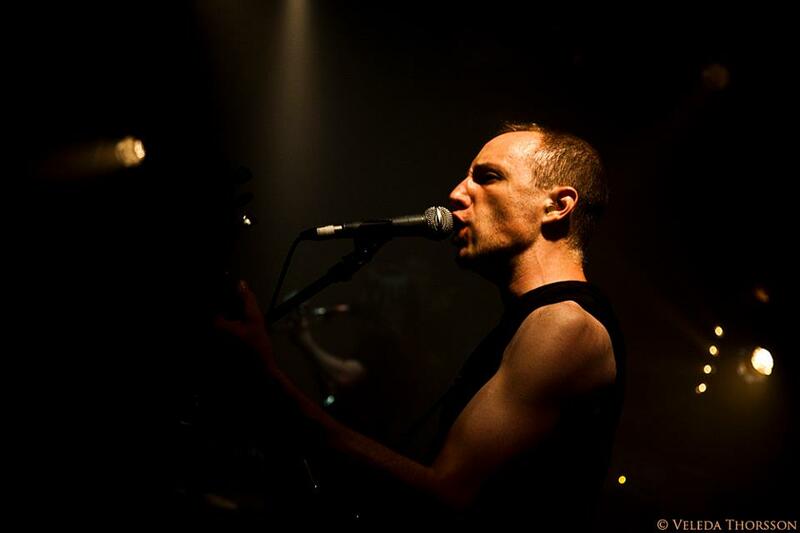 What does he bring to Agalloch and how do you feel these attributes will mold the band? DON: We’ve always felt a kinship with Ludicra and the music they wrote and performed. Aesop’s drumming has always reminded us of early Ulver and Ved Buens Ende. What I appreciate most about Aesop is his dedication to always getting better and expanding his drum skills. When he recently got into blue note era Jazz, you could hear it on the latest Worm Ouroboros record. A musician who is constantly reinventing themselves, always seeking to be better, and prepared to adapt other styles to their own, is priceless. Aesop is one of these musicians. So, this tells me that when he explores other drumming styles, we’ll eventually hear it in Agalloch and this will help us grow. I also think Aesop’s experience as a live musician and recording live has influenced us and helped us reach a level of performance that would have taken longer with someone else. Personally, I love playing with him because I’m always listening really carefully to his fills, his accents, where he places the beats. He keeps me on my toes and challenges me to be better. Agalloch milestones…. Playing with Tony Wakford on stage would definitely be one. I’m sure there are many others. With so many goals achieved and special moments behind you, what sort of dream still keeps you guys going? That elusive Agalloch/Douglas P collaboration? DON: Playing with Tony was amazing and a “coming full circle” in a way. Who would have thought that after 10 years since we recorded the Sol Invictus cover we’d have the opportunity to actually perform it with him? What keeps us going is quite simple; we love writing music and are always committed to making each record better than the last. The same excitement I feel today when we begin demoing new material or when John shares a new riff with us, is the same I felt when I was 19 working with John. That’s all it takes really to keep doing what you do. You have to truly love what you do. I know that isn’t a profound milestone, but sometimes the best and most genuine answer is the simplest. On a personal note, knowing that you have been Agalloch focused and also relocated to Portland from Seattle, has there been any time to think about Sculptured? As that project embraces more of a progressive metal style, where would you like to see this music develop next? DON: Yes, there is time here and there. Both projects satisfy my role as a musician, so I never feel like one takes from the other. Sculptured happens when there’s time for it. I have a handful of songs written and I am anticipating another Sculptured in the future. The music is still jarring, dissonant, and melodic, but maybe not quite as frenetic as “Embodiment.” The lineup will be slightly different, so that will naturally affect things. I wouldn’t want to do “Embodiment 2” anyways. Currently though I’ve been focusing my time on the new Sol Invictus album which will see a release next year (2013). I look at my collection and hold the classics in high regard… so much so that it becomes tough to hear/find anything groundbreaking to carry on the torch. What black metal album(s) from the past do you feel haven’t diminished in significance? Aside from a handful of bands, the next wave of BM bands seem to be stuck emulating their idols. What have you heard recently that would perhaps change my mind on this point? Where is the creativity, or identity in 2012? DON: I’m pretty much stuck in the early-mid 90s with the exception of bands like Deathspell Omega, Virus, Lunar Aurora, and the latest Abigor releases. It won’t surprise you that I think the following are untouchable and never get old: Satyricon “The Shadowthrone;” Emperor “In the Nightside Eclipse;” Dissection “Storm of the Light’s Bane;” Burzum “Hvis Lyset Tar Oss;” Ulver “Bergtatt;” and Mayhem “De Mysteriis Dom Sathanas.” Many of these continue to influence Agalloch. There are riffs on “Faustian Echoes” that remind me a bit of “Shadowthrone.” I honestly don’t keep up too much on contemporary black metal—again, I appreciate the atonal experiments of the initial bands I mentioned, that is something I try to do in Sculptured (although not in a black metal sense). I’m more interested in catching up on music I missed growing up. I’ve been listening to Television, The Stranglers, Dixie Dregs, Public Image Ltd., and mostly 70s era prog. That’s where my head is at. Agalloch has had a very busy couple of years. Has writing for the next album commenced and what sort of a timeframe do the fans have before sinking their teeth into new material? If there are new tunes, how are they shaping up? Forward thinking? Perhaps more of a classic Agalloch sound? DON: It’s still too early to tell, but we do have an archive of riffs, songs, a basic framework and themes for the fifth record. We’ll never completely return to an “old sound”—we always want to move forward. I can see the material growing more complex, not in a proggy-Opeth way necessarily, but just further experimentation with textures, tempos and times, and even tunings at this point. Thank you Don for spinning your evening away on this interview. Please take a moment to plug away and leave us with a final thought…. DON: Thanks to everyone who came to the shows during the recent tours of Europe and the US. Thank you for supporting the band! This entry was posted on September 30, 2012 at 7:43 pm and is filed under ALL REVIEWS, INTERVIEWS.You can follow any responses to this entry through the RSS 2.0 feed.You can leave a response, or trackback from your own site.